Registration Finished - On To Carpooling!
. Click the link at the bottom of this note or the top of the website to get your name added to the waiting list via the contact form. Chances are “slim to none” for entry off the list this year but we will put your email on our notification list for next year. It has taken over a month but we have gone through and contacted runners we are aware of who tried on 1/1/2010 and were unable to register for technical reasons. We were not able to accommodate everyone but we did fit in a lot more people than we could have originally hoped due to the Pound Ridge Reservation’s willingness to work with us and expand the running field. Absent that, a lot more people would have been disappointed and unable to run this year. This was a massive undertaking as we fielded in excess of 1,200 individual emails and sent almost as many responses. Needless to say, this was not part of our registration plan for the Loop! If you did not make it in this year we are sorry—but we can point you to many other fantastic trail races nearly every weekend in the tri-state area. CARPOOLING—which we think is the most fun way to attend the Loop anyway—will be even more important this year. PLEASE try to come with more than one runner in your car! We realize it may be hard for some folks to do this but if you can it will help in so many ways. Last year we had a late effort at coordinating carpools that we think got a few people matched up. 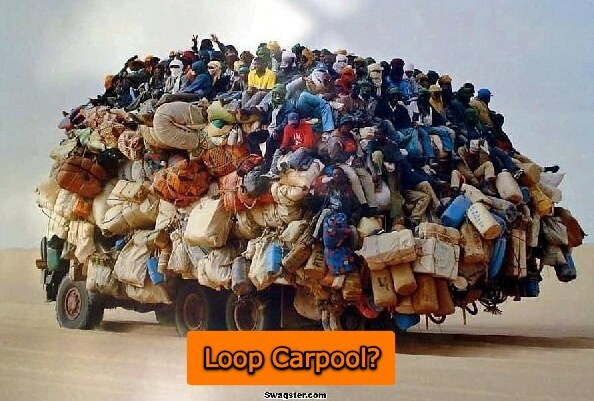 This year you can visit the official Loop carpool forum: http://www.leathermansloop.org/index.php/forums/viewforum/6/ to offer or request a ride. You need to be registered as a leathermansloop.org website member (which is very easy to do) in order to post an offer or request. Hope we can put some folks together! If you would like to order a t-shirt, click here: http://www.allsportcentral.com/estore/index.cfm?EventID=21703. T-shirts will be available for pickup on the day of the Loop. If you want to check your registration status, click here: http://www.allsportcentral.com/ec/events/entrants.cfm?EventID=21703 and search for your name.
. We appreciate your help and patience! « Continue the Mud into May!